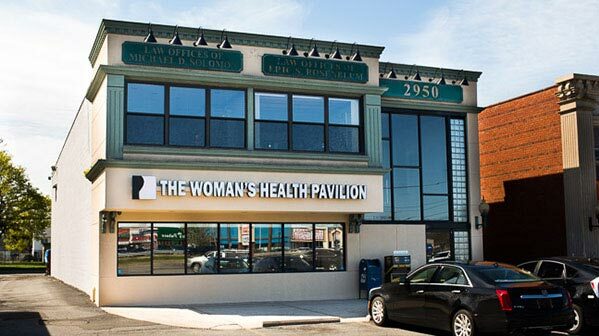 The Levittown location of The Woman’s Health Pavilion offers Long Island women a complete range of OB-GYN services. In Farmingdale and throughout Nassau County, NY, women enjoy having convenient access to quality care provided by a team of caring specialists. We serve women from adolescence to beyond menopause. To meet with a Long Island gynecologist or other experienced practitioner in Levittown, request an appointment using our online form or by calling (516) 731-9000. We offer same-day appointments for urgent conditions and can see you evenings most days during the week, or even on Saturday. Our Levittown location is about 4.5 miles east of Farmingdale at 2950 Hempstead Turnpike, 1/4 mile east of the Wantagh Parkway, between Dunkin Donuts and CVS. Our caring team specializes in women’s health and we have a lab, pathologist, and 4-D ultrasound equipment on site. Whether you’ve never seen a gynecology specialist, are interested in maternity care, or have an ongoing condition you’d like to resolve, we welcome you!